Sigrid Maria Schauman (born 24 December 1877 in Chuguyev, Kharkov Governorate, Russian Empire [now Ukraine] — died 22 February 1979 in Helsinki, Finland) was a Finnish artist and art critic. Kharkov Governorate was a governorate of the Russian Empire founded in 1835. It embraced the historical region of Sloboda Ukraine. From 1765 to 1780 and from 1796 to 1835 the governorate was called the Sloboda Ukraine Governorate. In 1780-1796 there existed the Kharkov Viceroyalty. Radom is a city in east-central Poland, located 100 kilometres south of Poland's capital, Warsaw, on the Mleczna River, in the Masovian Voivodeship, having previously been the capital of Radom Voivodeship (1975–1998). Despite being part of the Masovian Voivodeship, the city historically belongs to Lesser Poland. For centuries, Radom was part of the Sandomierz Voivodeship of the Kingdom of Poland and the later Polish-Lithuanian Commonwealth. It was an important center of administration, having served as seat of the Crown Council. The Pact of Vilnius and Radom was signed there in 1401, and the Nihil novi and Łaski's Statute were adopted by the Sejm at Radom's Royal Castle in 1505. In 1976, it was a center of anti Communist street protests. Radom is the fourteenth-largest city in Poland and the second-largest in the voivodeship with a population of 214,566 as of 2017, down from 221,287 in 2011. Helena Sofia (Helene) Schjerfbeck was a Finnish painter. She is most widely known for her realist works and self-portraits, and less well known for her landscapes and still lifes. Throughout her long life, her work changed dramatically. Her work starts with a dazzlingly skilled, somewhat melancholic version of late-19th-century academic realism…it ends with distilled, nearly abstract images in which pure paint and cryptic description are held in perfect balance. 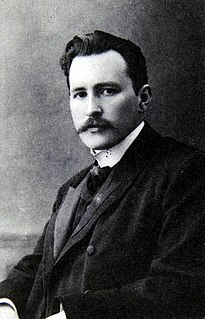 In 1904 Schauman's brother, Eugen Schauman, murdered the Governor-General of Finland, Nikolai Bobrikov. After this she moved to Copenhagen, Denmark, and continued studying in Florence and in Paris, where she was at the Academie de la Palette in 1910 before travelling in Egypt. Eugen Waldemar Schauman was a Swedish speaking Finnish nationalist and nobleman who assassinated the Governor-General Nikolai Ivanovich Bobrikov. Governor-General of Finland ; was the military commander and the highest administrator of Finland sporadically under Swedish rule in the 17th and 18th centuries and continuously in the autonomous Grand Duchy of Finland between 1809 and 1917. She married Edvard Wolff, but he died shortly after the birth of their daughter Elisabeth in 1913. In 1939 she visited Rome and Paris. After World War II, Schauman worked as a teacher in the Free School of Arts from 1945 to 1946. She retired in 1949, but continued painting on a grant provided by the City of Helsinki and an artist's pension from the State of Finland. During the 1950s Schauman frequently travelled in France and Italy. She was a founding member of the Prisma group of artists in 1956. The Prince Eugen Medal, is a medal conferred by the King of Sweden for "outstanding artistic achievement". Sigrid Schauman published a biographical book Min bror Eugen: En gestalt ur Finlands frihetskamp ("My brother Eugen Schauman") in 1964. Tove Marika Jansson (Finland Swedish pronunciation: [ˈtuːvɛ ˈjɑːnsɔn], was a Swedish-speaking Finnish author, novelist, painter, illustrator and comic strip author. Brought up by artistic parents, Jansson studied art from 1930 to 1938 in Stockholm, Helsinki and Paris. Her first solo art exhibition was in 1943. At the same time, she was writing short stories and articles for publication, as well as creating the graphics for book covers and other purposes. She continued to work as an artist and a writer for the rest of her life. Ilya Yefimovich Repin was a Russian realist painter. He was the most renowned Russian artist of the 19th century, when his position in the world of art was comparable to that of Leo Tolstoy in literature. He played a major role in bringing Russian art into the mainstream of European culture. His major works include Barge Haulers on the Volga (1873), Religious Procession in Kursk Province (1883) and Reply of the Zaporozhian Cossacks (1880–91). Eija-Liisa Ahtila is a contemporary visual artist and filmmaker. She lives and works in Helsinki. Sigrid "Siri" Sofia Matilda Elisabet von Essen was a Swedish-speaking Finnish noblewoman and actress. Her acting career spanned about 15 years, during which time she appeared in a number of plays that the Swedish dramatist and writer August Strindberg wrote specifically for her. Sigrid Hjertén, was a Swedish modernist painter. Hjertén is considered a major figure in Swedish modernism. Periodically she was highly productive and participated in 106 exhibitions. She worked as an artist for 30 years before dying of complications from a botched lobotomy for schizophrenia. Schauman is a Swedo-Finnish noble family introduced in both the Swedish House of Nobility and the Finnish House of Nobility. Originally known as a family of high-ranking soldiers, since the 1800s its representatives have become known in numerous other fields. The family is from the Baltic Countries and moved to Finland at the end of the 1600s. It is considered to be from the nobility of Kuurinmaa. However, according to an alternative theory the roots of the family could be in Kurpfalzissa, Germany, in which in 1596 a family with the same name was ennobled. Tea Mäkipää is a Finnish artist known for her installations, architectural works and videos. She earned a BA in Fine Art, from the Academy of Fine Arts (Finland), Helsinki and an MA from the Royal College of Art in London. Her works are in the collections of Helsinki Art Museum, Helsinki; the Collection Pentti Kouri; City of Helsinki, the State of Finland Central Archive of Art, Kiasma; Museum of Contemporary Art, Helsinki; Akademie Schloss Solitude, Stuttgart (Germany); Sammlung Federkiel, Leipzig (Germany). Her works often deal with ecological disaster, depicting a world afterwards, such as raised sea levels or the end of oil. Maria Abramovna (Avraamovna) Zubreeva was a Russian Soviet realist painter, watercolorist, graphic artist, and designer, who lived and worked in Leningrad. She was regarded as one of the representatives of the Leningrad school of painting. Elena Andreevna Volkova, was a Russian painter, born in Russian Empire Chuguyev. Hanna Mathilda Winge, née Tengelin was a Swedish painter and textile artist. Maria Katarina Wiik was a Finnish painter. She worked principally with still life, genre images, landscape paintings and portraits. Maria Dmitreyevna Raevskaia-Ivanova was a Ukrainian Russian Empire painter and art teacher. In 1868, she became the first woman in the Russian Empire to be awarded the title of "Free Artist" by the Imperial Academy of Arts. Hilda Flodin was a Finnish artist. She worked in a variety of media, but in the first part of her career primarily sculpture and etchings, later primarily painting, especially portraits. Hanna Frosterus-Segerstråle was a Finnish artist and writer. She is best known for paintings portraying intimate family life, and for portraits. Lars-Gunnar Nordström was a Finnish artist, one of the leading pioneers of non-representational art in Finland. His genre of art, concretism, is characterized by an extremely precise, finished, deliberate visual expression. Nordström is particularly known for his geometric paintings, in which angular and curved flat colour fields form clear, strong, dynamic compositions. His oeuvre consists mainly of graphic prints, paintings and sculptures. Wendla Irene Soldan-Brofeldt, known as Venny was a Finnish-Swedish painter, illustrator, graphic artist, wood sculptor and jewelry designer. Emmy Charlotta Achté née Strömer (1850–1924) was an operatic mezzo-soprano, the first prima donna of the Finnish Opera. She performed in Helsinki from 1873 to 1879, excelling in dramatic roles. She was also a voice teacher for over 40 years, starting an opera class at the Helsinki Institute of Music. ↑ Sigrid Schauman Archived 2011-07-22 at the Wayback Machine at the online list of Finnish artists. 1 2 Sigrid Schauman at the Turku Art Museum. Accessed on 18 May 2008. Sigrid Schauman. Art Museum of Oulu. Schauman, Sigrid at Biografiskt lexikon för Finland(in Swedish).